This boat is nearly new. The engine has only 125 hours on it! Oil change and maintenance were done at the end of last season. It still shines! It is kept covered (custom cover) when not in use. The trailer is in perfect condition! The seller has had $1400 worth of service done this year. 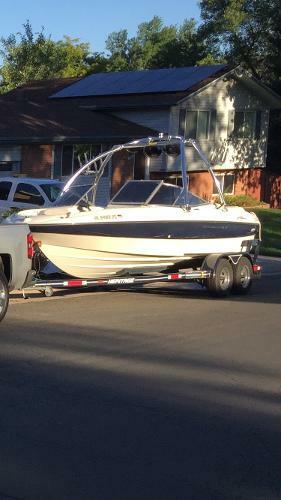 Trailer and boat are in tip top shape. Stock #130061 READY FOR THE WATER!! TOWER! BOARD RACKS! Like new, 2 covers ($800 COVER), 7 lifevests, kneeboard, wakeboard, tubes, loaded! MUCH MORE INCLUDED!! 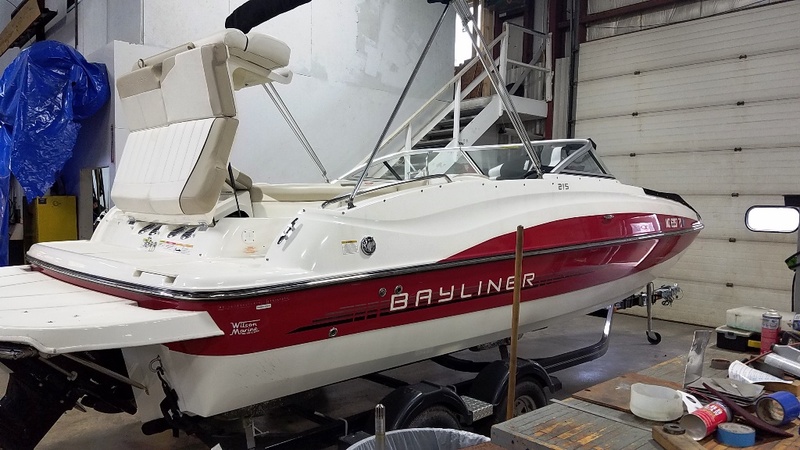 If you are in the market for a bowrider, look no further than this 2013 Bayliner 215, just reduced to $32,000 (offers encouraged). 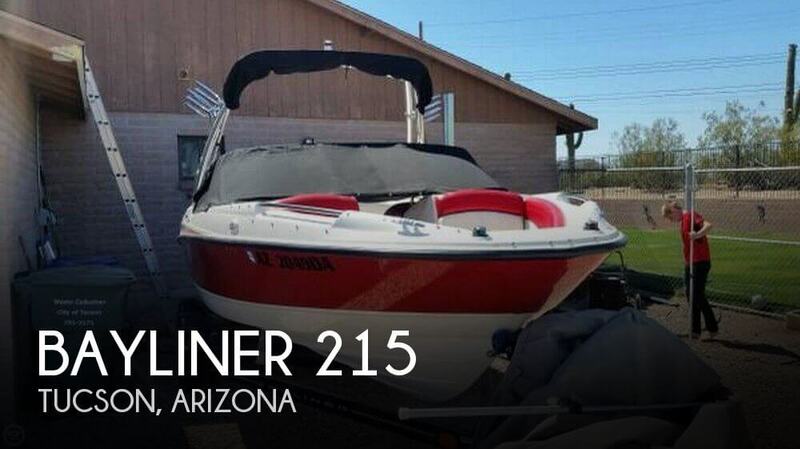 This boat is located in Tucson, Arizona and is in great condition. 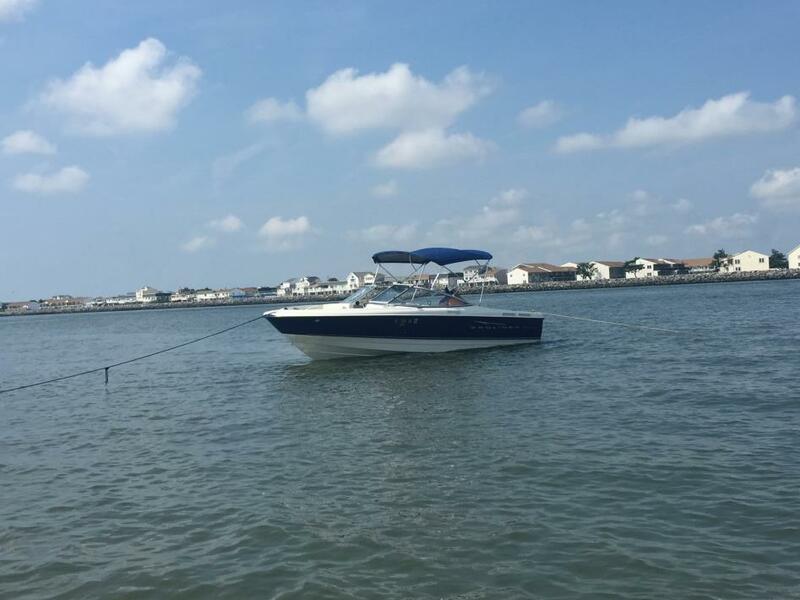 She is also equipped with a Mercruiser engine that has only 125 hours. Reason for selling is financial. 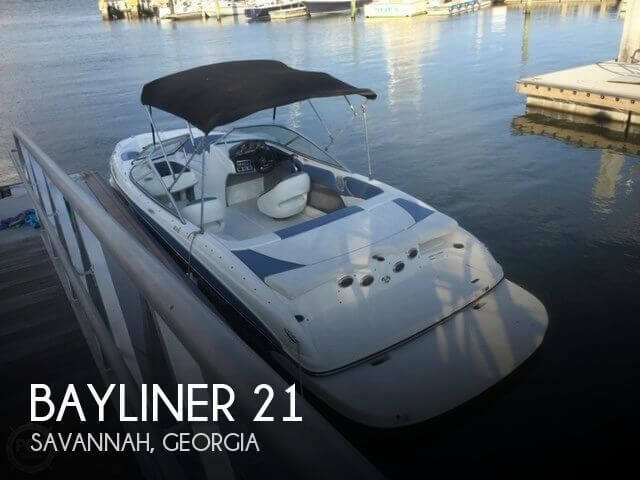 2017 Bayliner 215 Deck Boat This exciting model in Bayliner's Deck Boat lineup comes powered with a reliable, performance-ready MerCruiser sterndrive, offering an impressive holeshot for water sports. Choose between the standard helm windscreen or an optional wraparound windshield, providing additional wind protection in the cockpit. A portside changing room with optional Porta Potty gives you added convenience Key Features Standard helm windscreen may be replaced by an optional wraparound windshield, providing additional wind protection in the cockpit. Sporty helm design with upgraded easy-to-read instrumentation and sport steering wheel. Spacious bow seating area with easy to reach grab handles and cup holders. A roomy in-floor locker accommodates skis, water toys and other gear. Portside bulkhead doubles as a changing area, upgradeable to serve as optional head. Rear-facing seating/sun lounge lets passengers enjoy the "back patio." 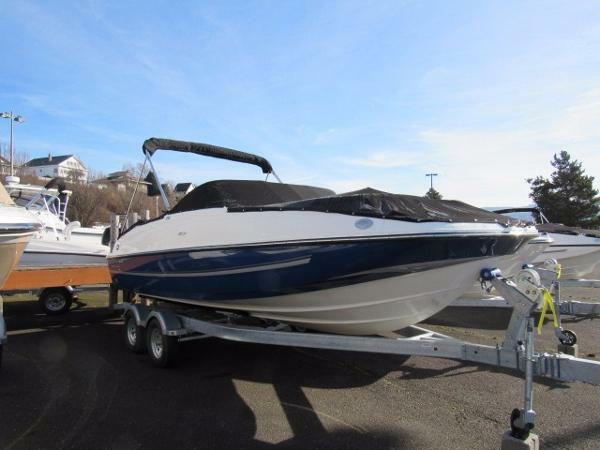 2011 Bayliner 215 Bowrider The 2011 Bayliner 215BR is ready to entertain your crew. 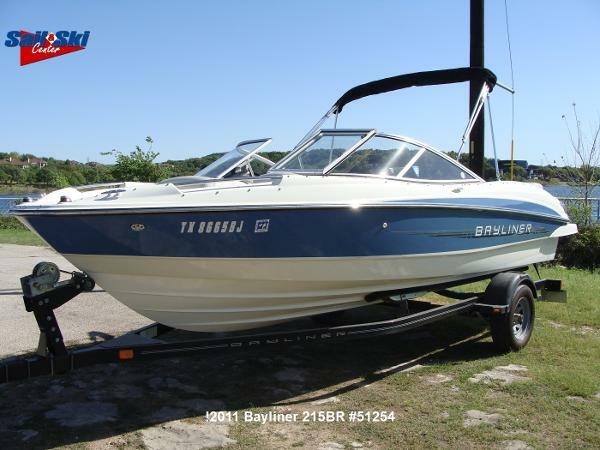 Its a great boat for recreational watersports, cruising and relaxing in a cove. 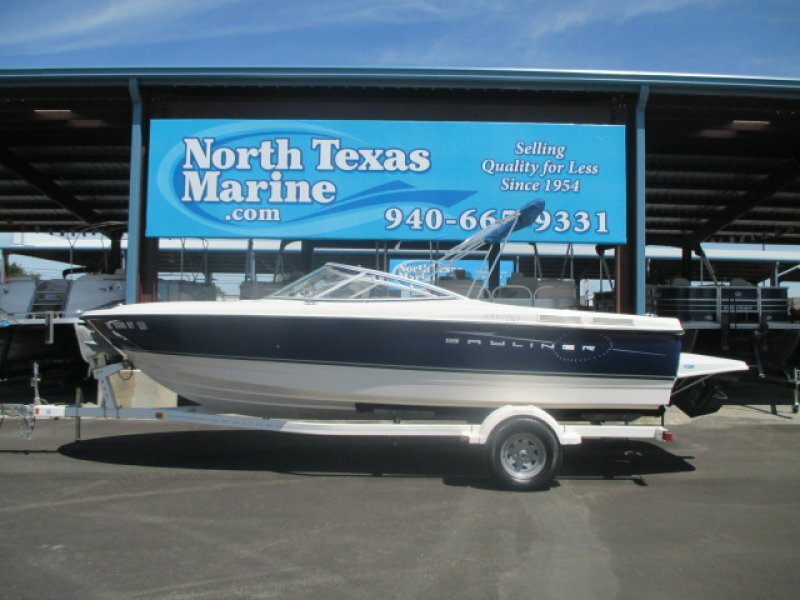 This one-owner, fresh water 215BR has been stored on a hoist under a covered slip on Lake Travis. Exterior and interior are in great condition. 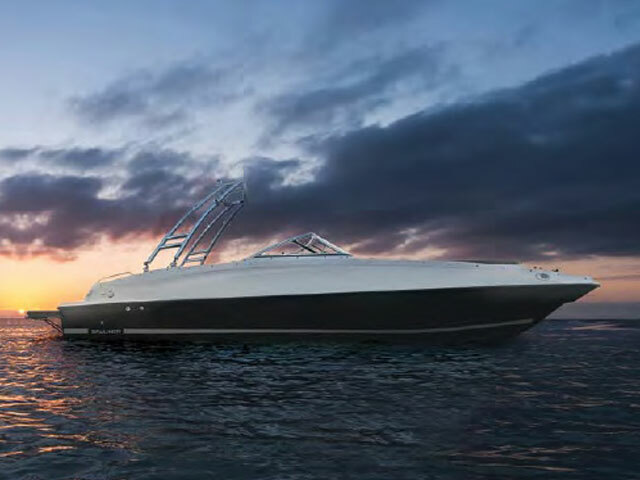 The 4.3L 220 horsepower MerCruiser engine, with only 215 hours, provides impressive power and is very efficient. The boat includes preferred equipment package, bow and cockpit snap covers, and additional mooring cover. Engine bilge heater and accessories are also included. 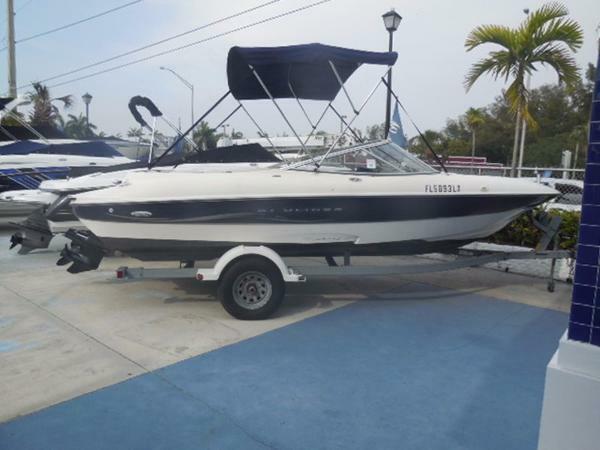 Its a turn-key package including boat, trailer and watersports equipment. 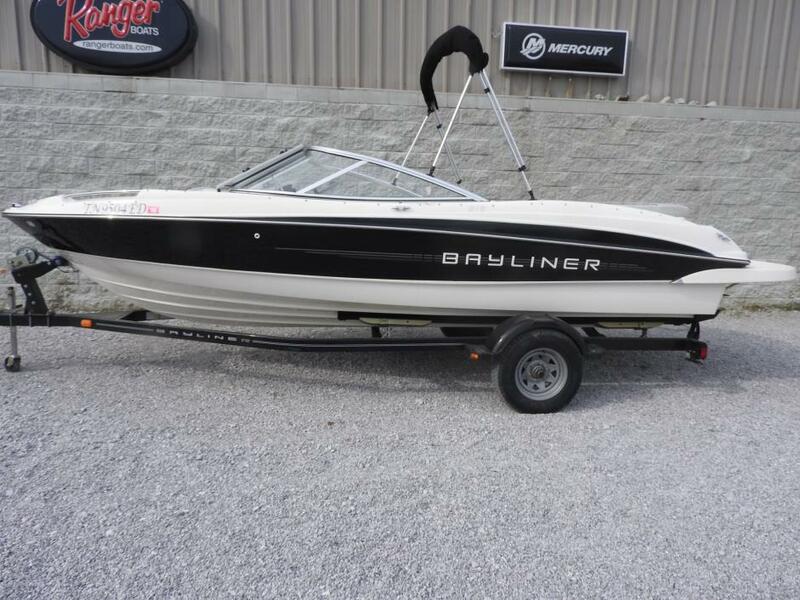 2016 Bayliner 215 Deck Boat Brand new on the lot! More pictures coming soon! ADDITIONAL OPTIONS BESIDES WHAT COMES STANDARD COLOR SELECTION Solid: Black Hull ENGINE 250 HP MerCruiser (4.5L) A1 Sterndrive STAINLESS STEEL PACKAGE Stainless Steel Trim (Cup Holders, Fuel Fill, Thru Hulls, Vent Grate, Rub Rail, Latches) WATER SPORT OPTIONS Ski Locker Ballast Wakeboard Rack (Pair) Xtreme Tower w/Integrated Top WINDSHIELD OPTIONS Full Windshield w/Opening Center Panel SEATING & UPHOLSTERY Bow Filler Cushion & Desert Sand Interior Exchange WINDSHIELD OPTIONS Full Windshield w/Opening Center Panel CANVAS OPTIONS Bimini Top w/Boot Bow Well & Cockpit CoverFLOOR COVERING OPTIONS Cockpit Flooring - Teak MatSWIM PLATFORM OPTIONS Swim Platform Extension/Match Hull Accent/Teak Mat Swim Platform Teak Mat ADDITIONAL OPTIONS Digital Depth Indicator Portable Head This exciting model in Bayliner's Deck Boat lineup comes powered with a reliable, performance-ready MerCruiser sterndrive, offering an impressive holeshot for water sports. Choose between the standard helm windscreen or an optional wraparound windshield, providing additional wind protection in the cockpit. A portside changing room with optional Porta Potty gives you added convenience Key Features Standard helm windscreen may be replaced by an optional wraparound windshield, providing additional wind protection in the cockpit. Sporty helm design with upgraded easy-to-read instrumentation and sport steering wheel. Spacious bow seating area with easy to reach grab handles and cup holders. A roomy in-floor locker accommodates skis, water toys and other gear. Portside bulkhead doubles as a changing area, upgradeable to serve as optional head. Rear-facing seating/sun lounge lets passengers enjoy the "back patio." 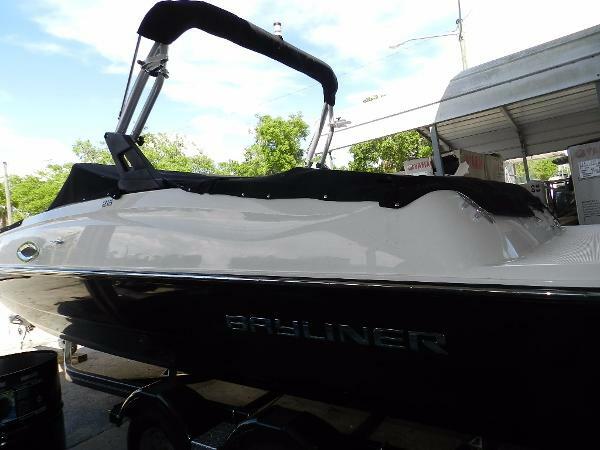 2011 Bayliner 215 Combining the best of Bowrider and Deck Boat engineering, the next-generation 215 is primed for action. 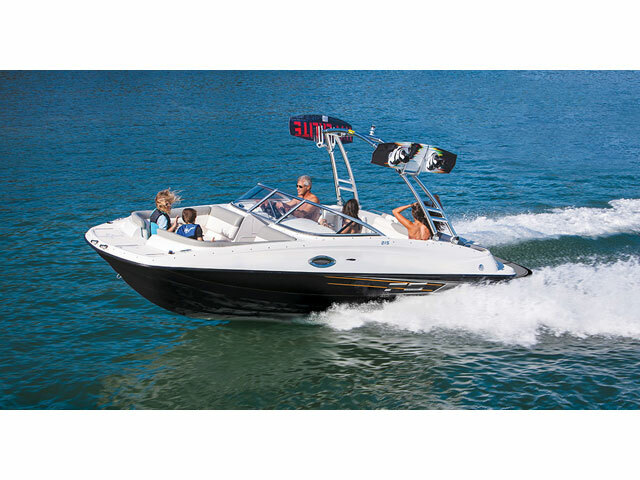 Watersports are a cinch with the standard V-8, walk-through transom and optional Flight Series Package. Stowing gear is simple, too, in the 215's ample bow and in-deck storage lockers. 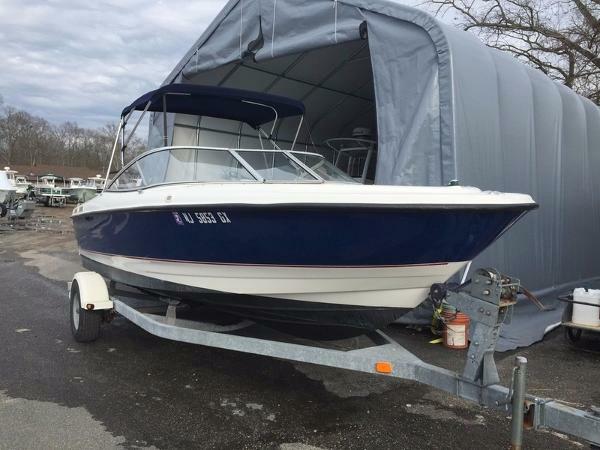 2005 Bayliner Capri 215 SALE PENDING 2005 Bayliner Capri 215 This is a nice boat, motor, and trailer package that will get you on the water for the summer.Boat Comes With:Mercruiser 5.0 Liter Inboard Outboard Engine with Alpha 1 outdriveKaravan single axle bunk trailerSony Stereo newer with newer speakers and auxilary for mp3 playerBimini TopBow and cockpit coversCome on by and make an offer the owner is looking for a quick sale!